If you are a restaurant owner or you work there then you would know that pest infestation has always been your biggest nightmare. The government or the customers do not take nicely those restaurants which have mice or rats as their daily visitors. They are destructive and are the root cause of so many problems and diseases. They are a problem for your business and also a health hazard. Any restaurants in Manhattan have a pest control system or do regular pest infestation checks to see whether there are mice’s or rats trying to enter or not. 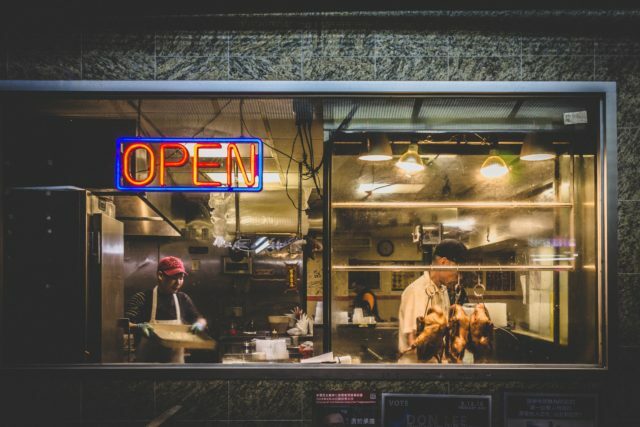 Here, are a few ways by which you would be able to keep them away from your restaurant and maintain a healthy work atmosphere. Use Natural Repellents: To get rid of mice and rats in Yonkers, you do not always have to use pest repellants. You could easily go for natural repellents like peppermint, mothball and cayenne pepper. Their smell acts as a natural repellant. Rodent Repeller which is Ultrasonic: These ultrasonic devices emit sound waves which human beings would not be able to hear but irritate mice and rats. This thus creates a change in the environment in which they were comfortable. But these kinds of devices do not keep them away for a long time. In the beginning, they stay away from the unfamiliar environment which the sound waves create but after sometime they get used to it. They would generally get used to it or find some way to avoid that is. However, these devices help you to keep them away even for a few days until you find a replacement. Traps: Traditional traps are still used to get rid of mice and rats. They are a viable solution and provide you relief from all kinds of pests and their infestation. However, it is not a satisfying site to see them attempting themselves to get free but ultimately getting tired and dying of exhaustion. You could use the best type of baits that are available in the Bronx and at the right time. Bait Stations and Sealing Entering Points: Choose the food that mice and rats prefer the most. Tie the food to the bait with dental floss and wait. The most important step that you should take to ensure that you do not have any pest infestation is by sealing all the entry points leading to all this. It could be anything from an open drain to the washroom. You have to make sure that the hole is not big enough that rats or mice are able to enter through it. If you are thinking about baiting the pests, then it is best if you take the help of professionals, as they would be able to handle the situation more accurately. Many cats love mice but as it is a restaurant Mount Vernon; therefore, it is better if you do not keep a cat as a pet. Mice could fit into small pieces often entering through very small openings or holes. Mice could also survive on small amounts of food and nutrition. Therefore, it is important to make sure that your foods are properly covered and bits or crumbles are not left behind.